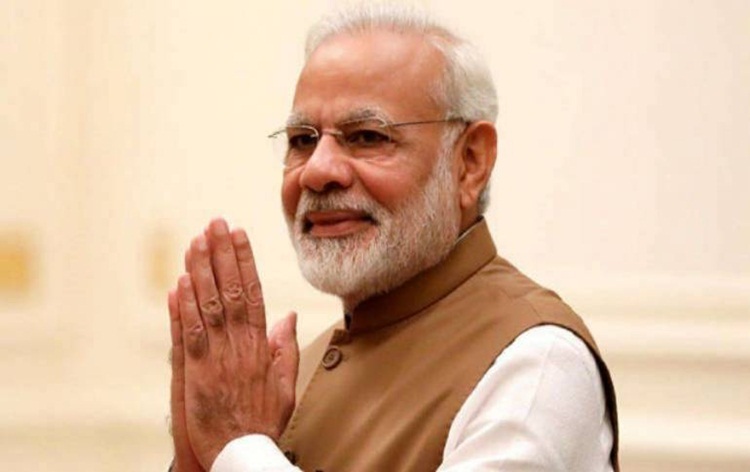 Prime Minister Narendra Modi on Tuesday inaugurated and laid foundation stones of several development projects in Haryana. The projects include National Cancer Institute, Jhajjar and Shri Krishna Ayush University, Kurukshetra. 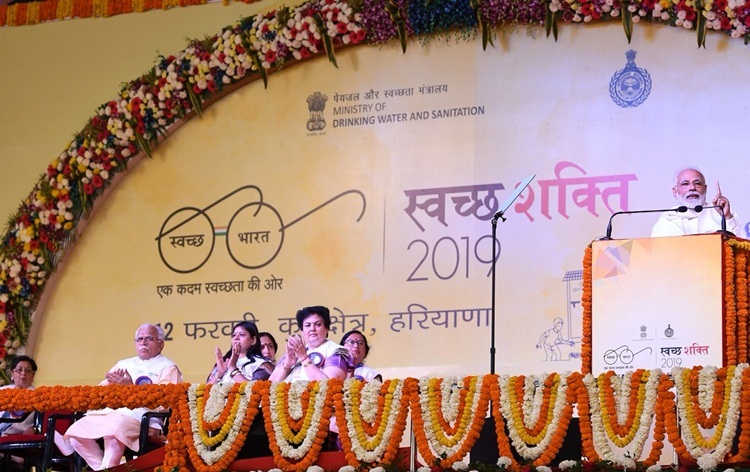 The Prime Minister was in Kurukshetra to participate in 'Swachh Shakti 2019', an event to recognise the leadership role played by rural women in Swachh Bharat Mission to achieve a clean and open defecation free country by October 2 this year. The event was attended by woman sarpanchs and women associated with the 'Swachhta' campaign from across the country. 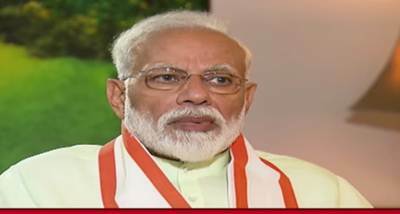 Mr Modi distributed the 'Swachh Shakti 2019' awards on the occasion. He inaugurated 2,035-crore rupees National Cancer Institute, in Jhajjar district through video conferencing. The 700-bed hospital will have facilities like surgical oncology, radiation oncology, medical oncology, anaesthesia, palliative care and nuclear medicine. 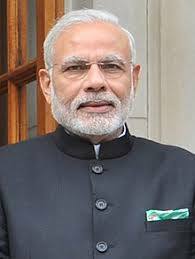 The Prime Minister also inaugurated the ESIC Medical College and Hospital, Faridabad. This is the first ESIC Medical College and Hospital in north India and it has 510 beds. He laid the foundation stone of National Institute of Ayurveda, Panchkula. It will be a national-level institute for Ayurveda treatment, education and research. The foundation stone of Sri Krishna Ayush University, Kurukshetra was also laid by the Prime Minister, along with foundation stone of 'Battles of Panipat Museum'. The museum will honour the heroes of the battles of Panipat. He also laid the foundation stone of Pandit Deen Dayal Upadhyaya University of Health Sciences, Karnal. 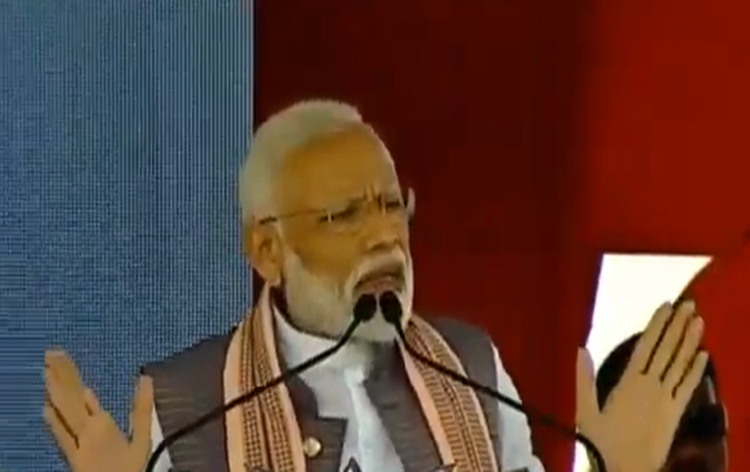 Addressing the gathering, Prime Minister Modi said the projects launched today will better the lives of people living in the state and provide employment to the local youth. He said Kurukshetra is a land of learning and spirituality. He added that thousands of years ago in the same land of Kurukshetra, Lord Krishna began a sanitation campaign to clean up immorality. He said today, people are fighting the battle of cleanliness in everyday life. 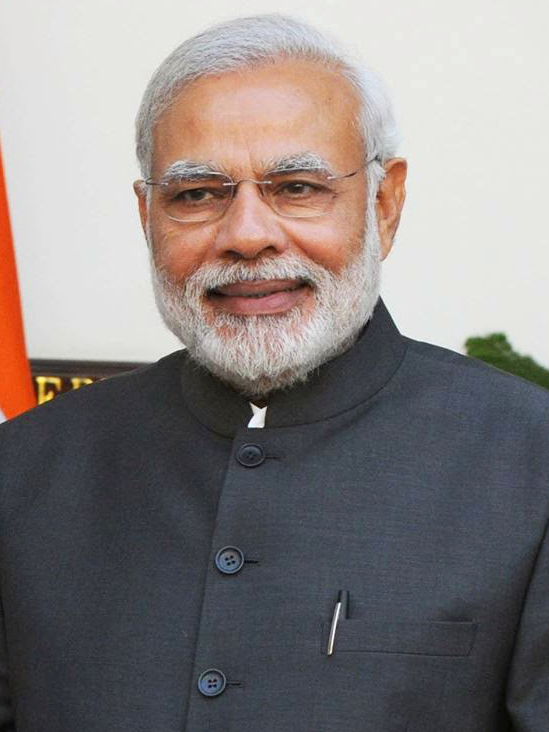 The Prime Minister appreciated the Haryana government for its achievements in cleanliness. He said that the history of man cannot be written by those disconnected from the historic roots. He accused Congress of promoting history that revolves around only one family. The Prime Minister welcomed the Nigerian guests who are on a study tour to learn how Swachh Bharat Mission had such a dramatic success so quickly and how it can be replicated in Nigeria. 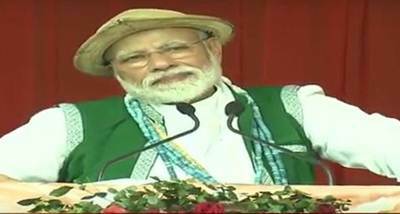 He said other countries in the world are emulating the Swachh Bharat Abhiyan which was possible only due to people's willpower and dedication. 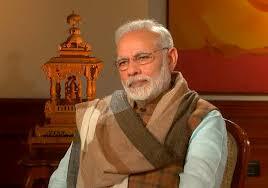 Mr Modi said society will be strong if women are empowered. He said the Budget has taken care of women-oriented schemes. He emphasised that the contribution of Naari Shakti is very important to achieve the goal of total sanitation. 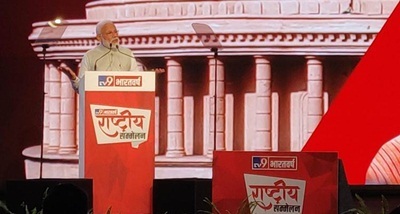 The Prime Minister highlighted that over 11 lakh people benefited from Ayushman Bharat and his government is making efforts to make the life of farmer, poor and middle class easier.